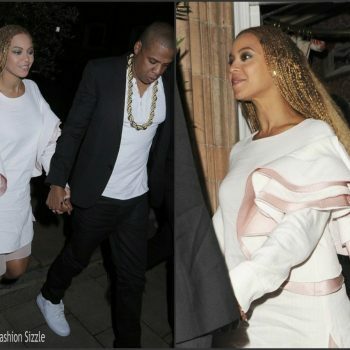 Beyonce and JayZ attended the 30th birthday party for Big Sean on Tuesday (March 27). 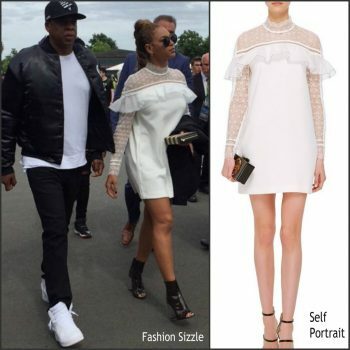 She is wearing a polka do Self-Portrait Spring 2018 top styled with jeans . 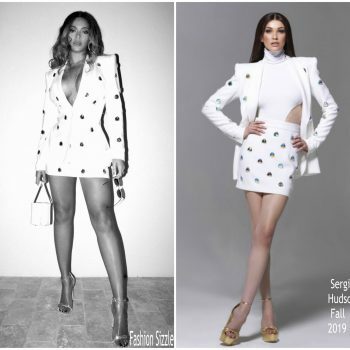 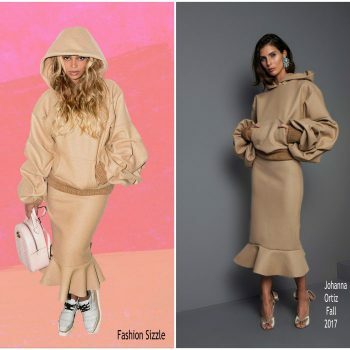 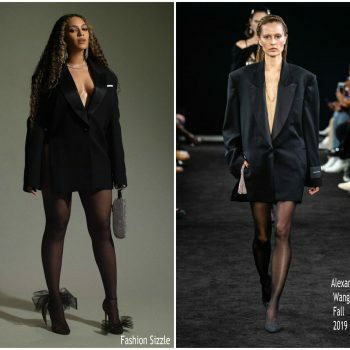 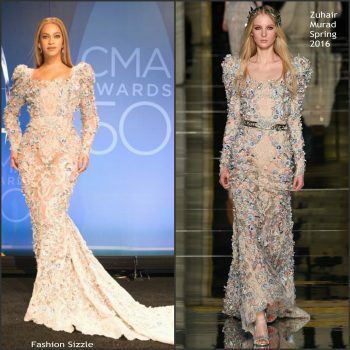 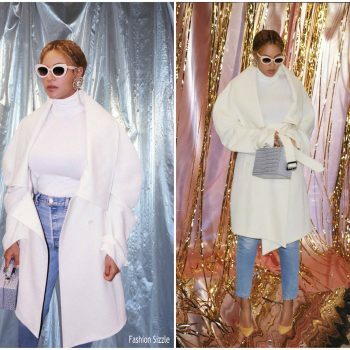 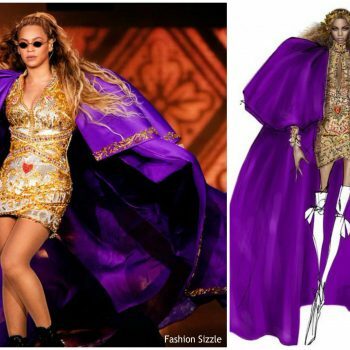 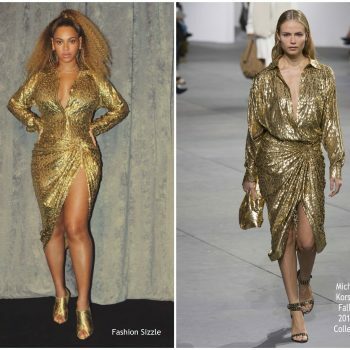 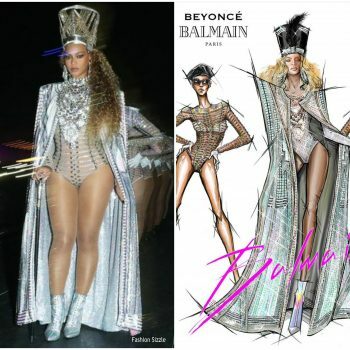 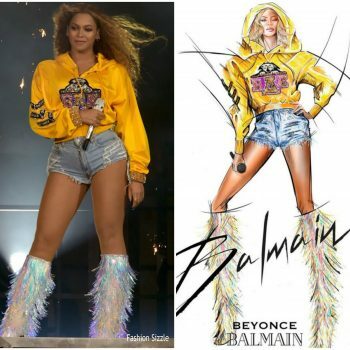 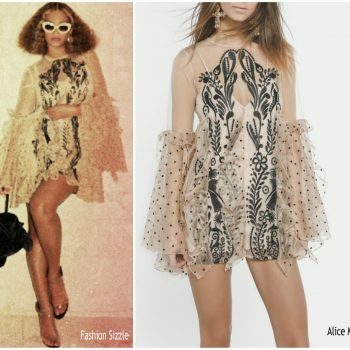 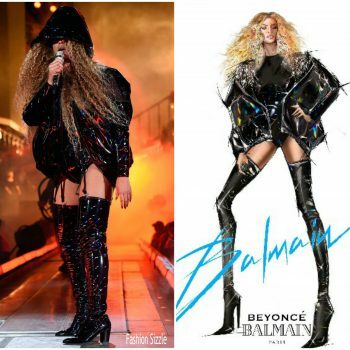 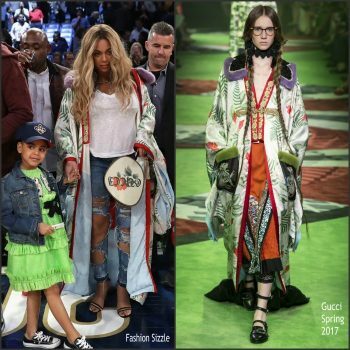 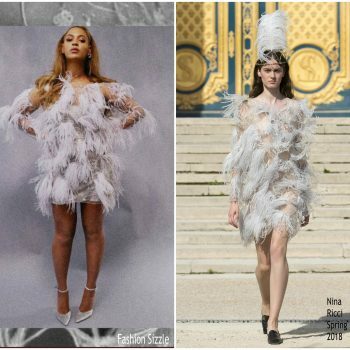 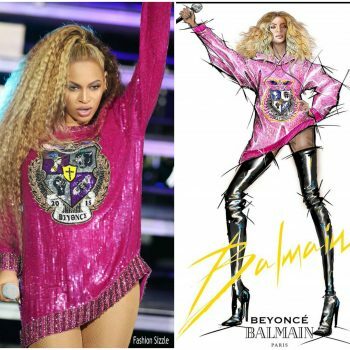 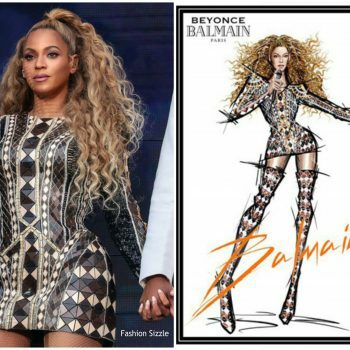 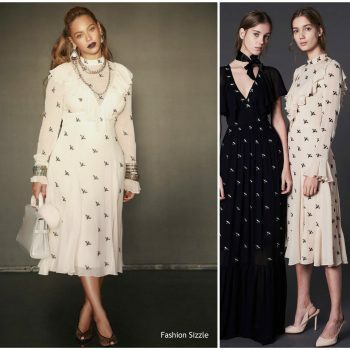 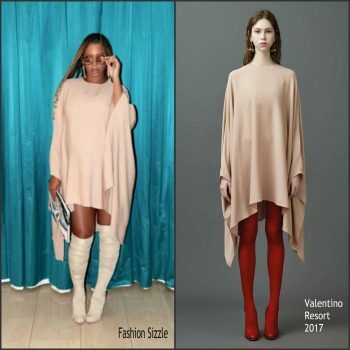 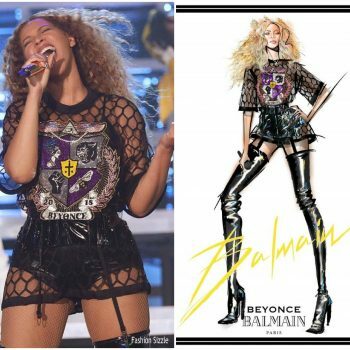 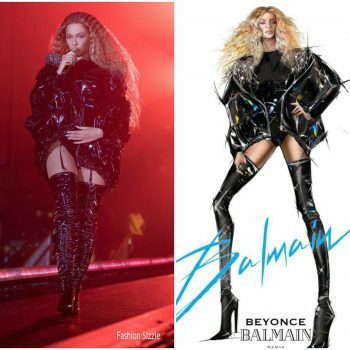 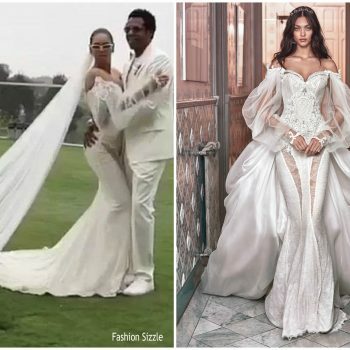 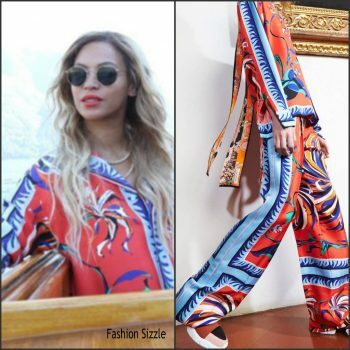 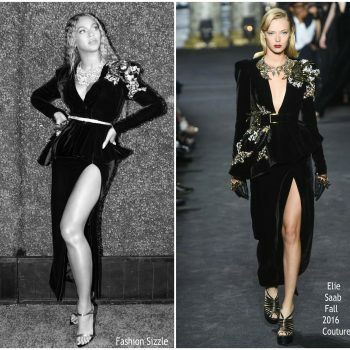 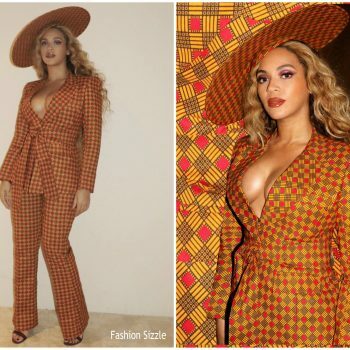 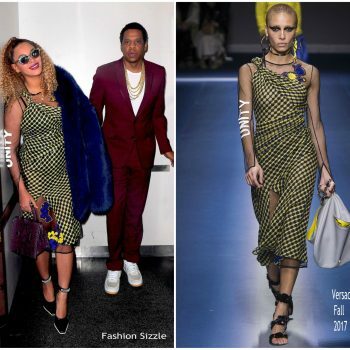 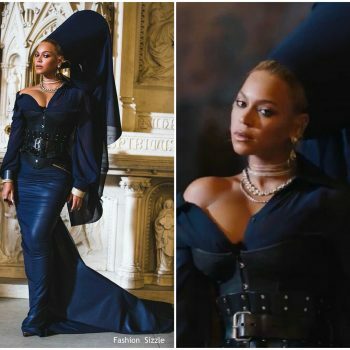 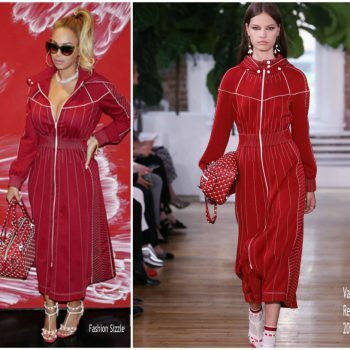 Beyonce posted a recent pic on her instagram She is wearing a Temperley London Pre -Fall 2017 ‘Starling’ dress She styled her look with Lorraine Schwartz along with a pair Tom Ford back pumps. 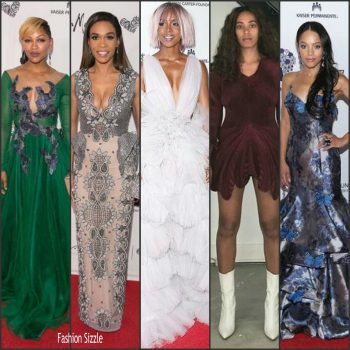 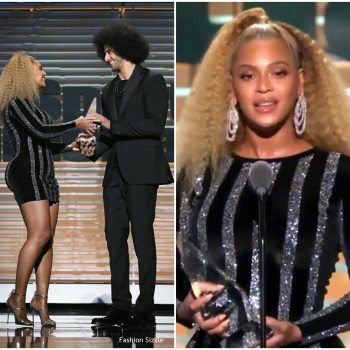 Beyonce Knowles was presented with a Humanitarian award at WACO Theater's 2nd Annual Wearable Art Gala on March 17, 2018 in Los Angeles, California. 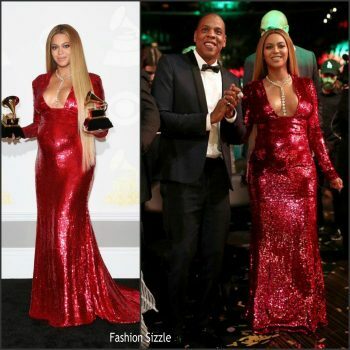 Following her appearance on the redcarpet she changed into a JEAN-LOUIS SABAJI gown. 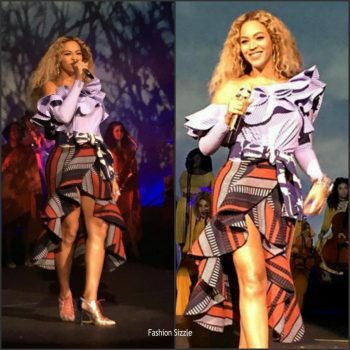 Beyoncé was in attendance at Serena Williams and Alexis Ohanian’s wedding in New Orleans. 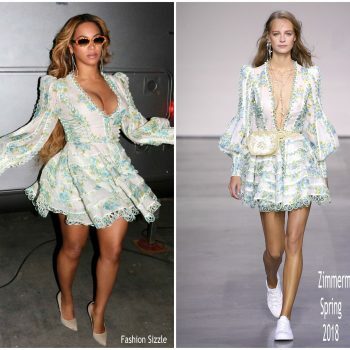 She wore a Alexandre Vauthier green wrap dress. 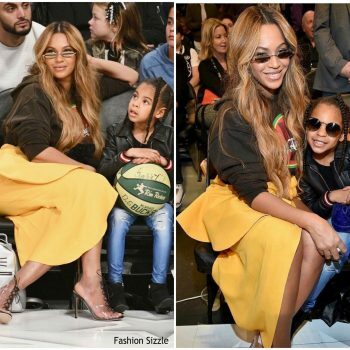 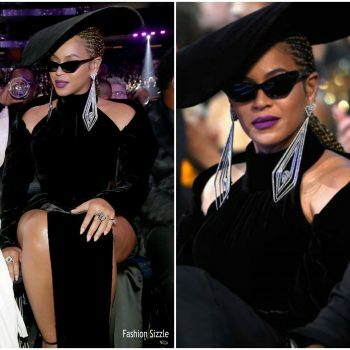 Beyonce Knowles attended the Bruno Mars 24K Magic concert in Buffalo, New York with her husband Jay Z. 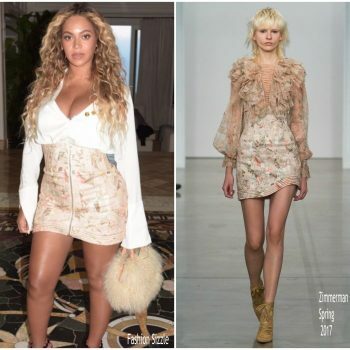 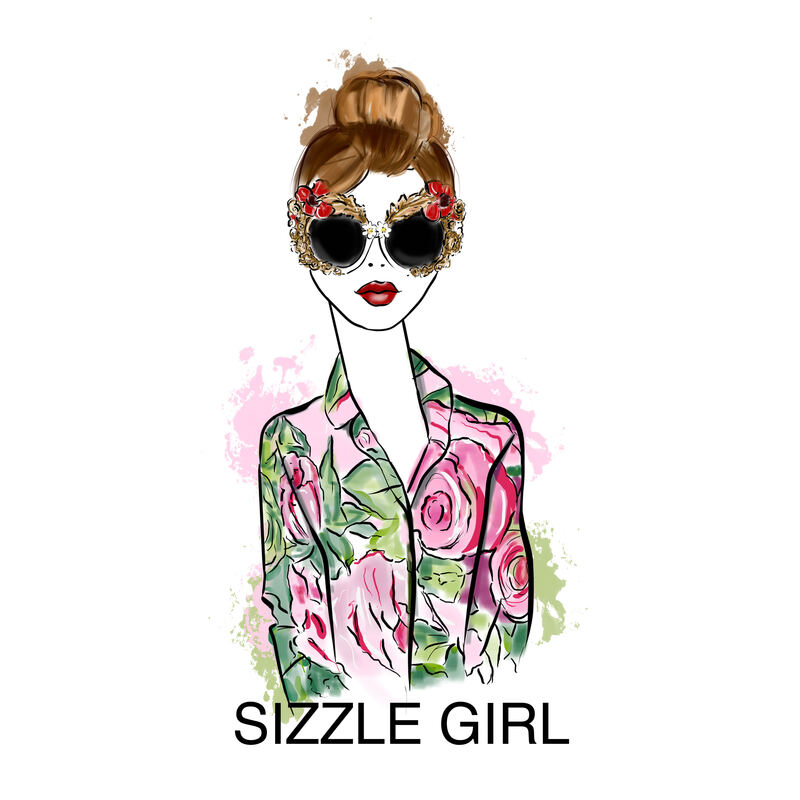 She wore head-to-toe Valentino Resort 2018 design. 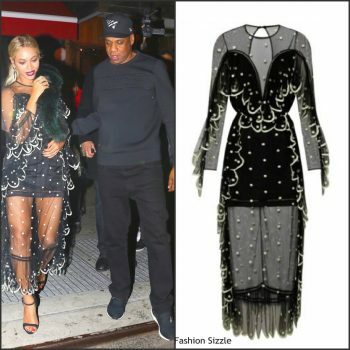 Beyonce and her husband Jay Z performed at a Hillary Clinton fundraiser rallyon Friday November 4 , 2016. 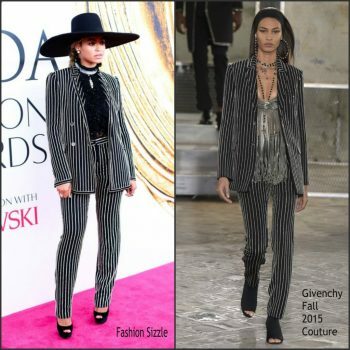 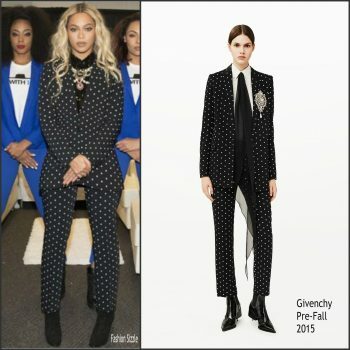 She is wearing a two pece black and white polka dot print Givenchy Pre-Fall 2015 suit. 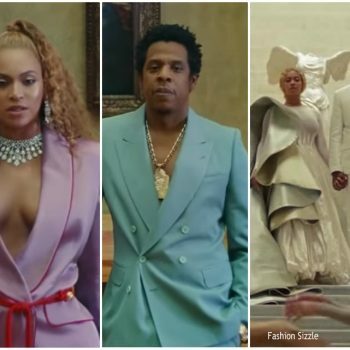 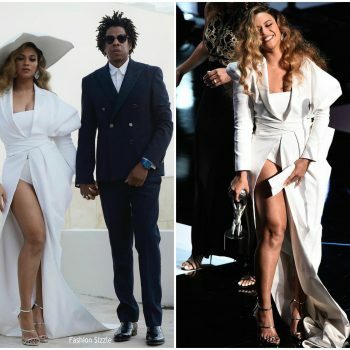 Beyonce and hubby JayZ returned in New York from their vacation in Italy to support Usher at the premiere of his new movie Hands of Stone at the SVA Theatre in New York. 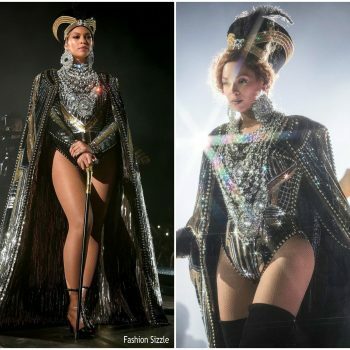 On August 3rd Beyonce will complete the European leg of her 'The Formation Tour' on August 3rd which will be continued in the United States on September 7th. 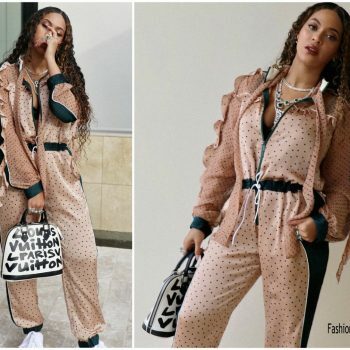 Beyonce was spotted in Paris France while on vacation . 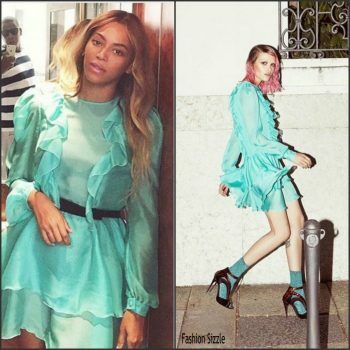 She is wearing a long sleeve mint Daniele Carlotta Resort 2017i chiffon ruffled mini dress styled with a black belt. 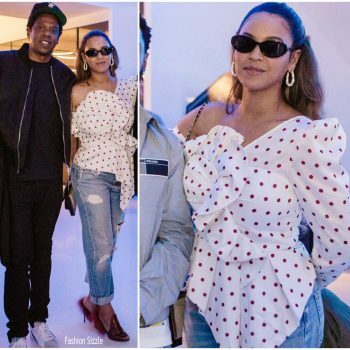 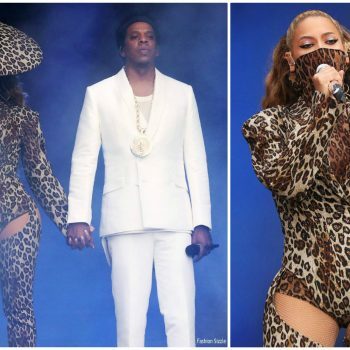 Beyonce and husband Jay Z celebrated the first of her two-night performance at the legendary Wembley Stadium by visiting Harry's Bar, London on Saturday evening (July 2) in London, England. 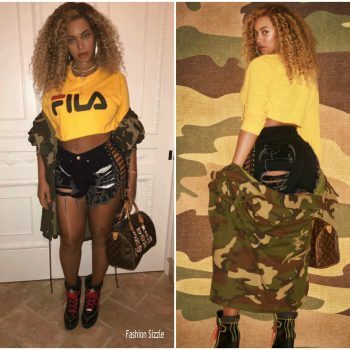 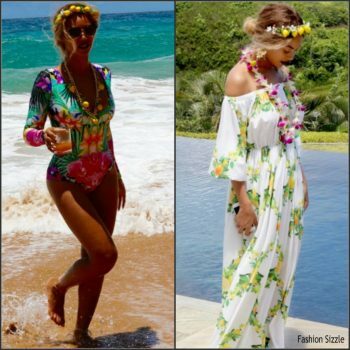 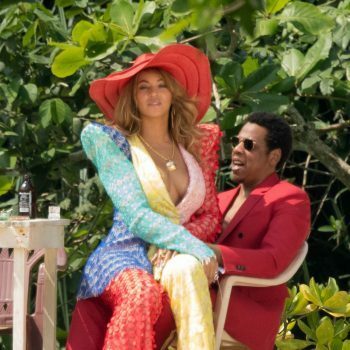 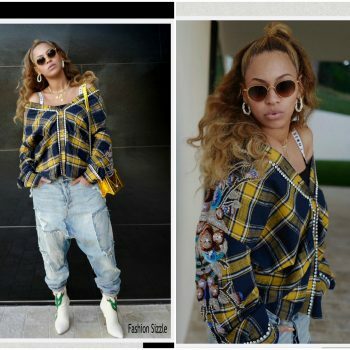 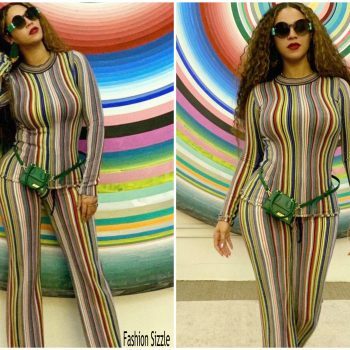 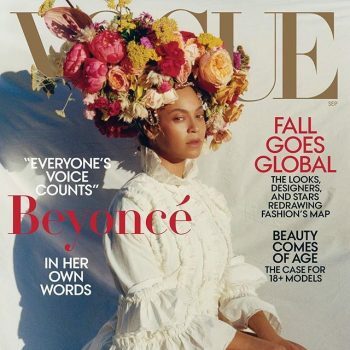 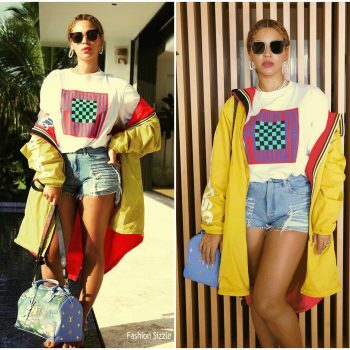 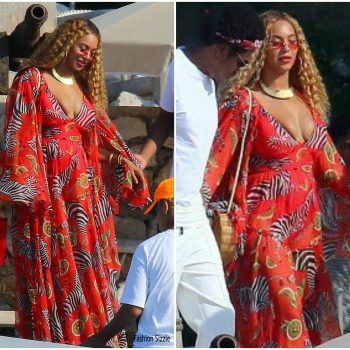 Beyonce who is presently on a break from her 'The Formation Tour', along with her husband JayZ and daughter Blue Ivy are on vacation in Hawaii . 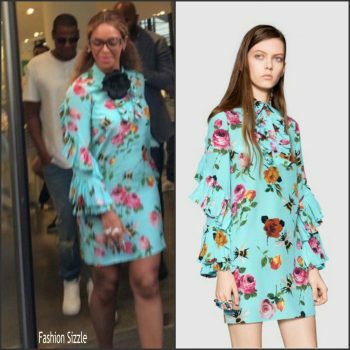 Beyoncé was spotted leaving The Greenwich Hotel in New York on June 14, 2016. 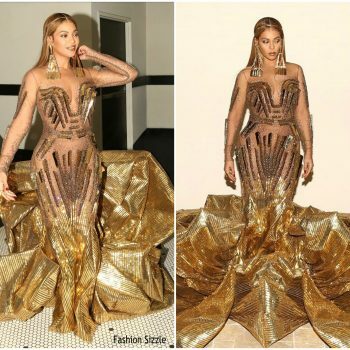 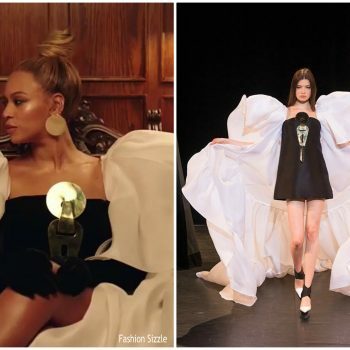 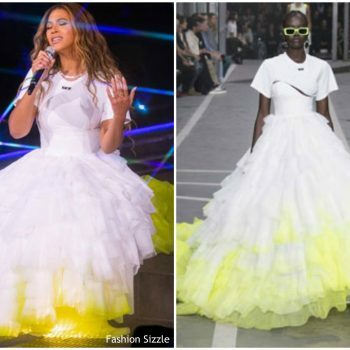 Beyonce attended The 2016 CFDA Fashion Awards was held at the Hammerstein Ballroom on Monday (June 6) in New York City where she received the 'Fashion Icon' award. 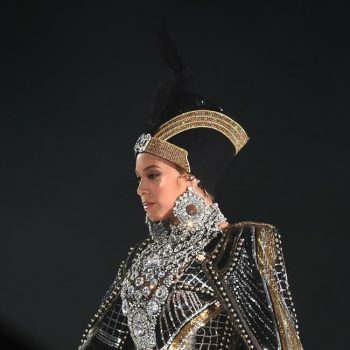 Beyonce launched her 'Formation World Tour' last night in Miami. 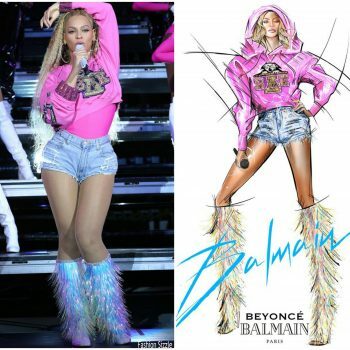 Her US tour will be held in 22 cities then in Europe and the United Kingdom in 16 cities. 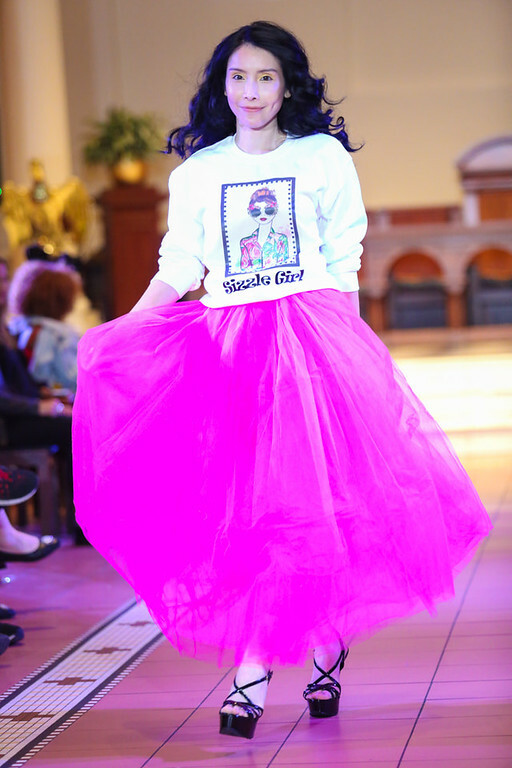 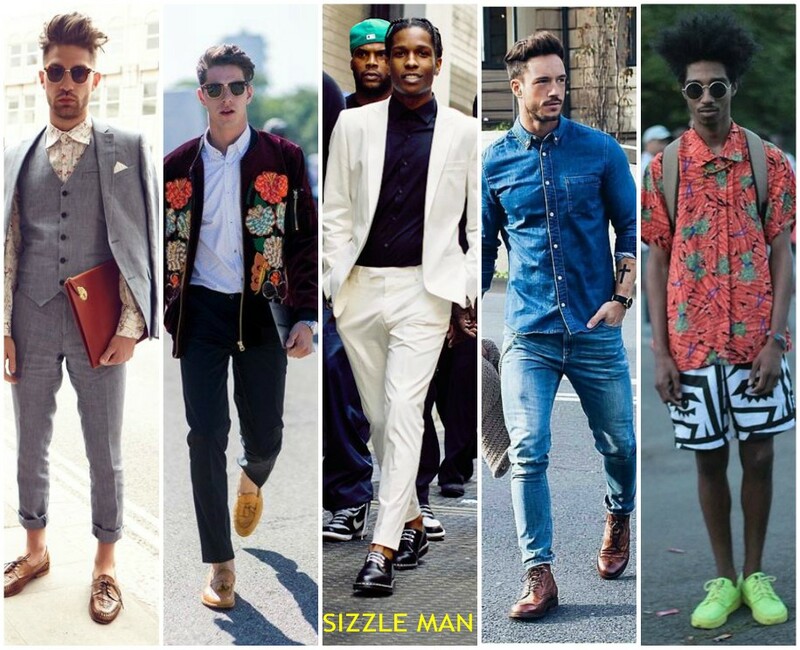 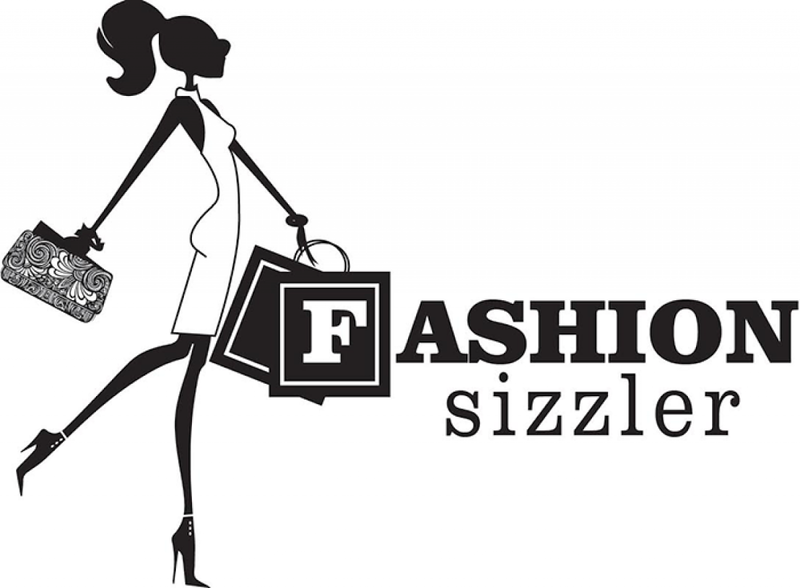 Below are some of the looks.